Uniquely, almost all of the songs from the album became the subject of English demos. None of these versions were ever officially released and remain accessible to fans only in leaked form. Judging by the demos available, the only songs to not receive English renditions were “THE GAMBLER”, “Akai Kagerou”, and “Sayonara Nanka wa Iwasenai”. Even after many subsequent album releases, RUN is still highly-regarded by B’z fans and critics alike. Tak said of the album: “We wanted to drift away from the style we’d been employing to this point.” The stated theme of the album is that of the title to the lead single: “ZERO”. This “zero” is not the equivalent to “turning back to a blank sheet of paper”, however. As Koshi puts it: “If it were a partner you’ve been with for countless years, it’d be akin to, ‘Let’s fall in love again’—’Let’s reclaim that excitement again’, that sort of thing.” Koshi’s example here utilizes that of a couple, but was clarified to, in the broader sense, refer to bringing forth all of one’s experiences and knowledge they’ve collected in order to create something new, entirely from scratch. Primarily, the type of feeling evoked by an “OK, from here on out!” sort of spirit. The opener to the album that set the tone for the tracks to follow with a sound that B’z had not fully embraced before. Tak said of the sound: “We did the melody for the chorus first and then worked out the main guitar riff to make it work with the chorus melody. From there on out, we composed the rest of the song. The guitar riff didn’t have as much impact on the composition of the song up until now, so it’s unconventional for B’z to go that route for a song.” As far as the lyrics, Koshi commented while reflecting on the album: “Writing went along unpredictably smooth. Maybe because gambling is a man’s desire.” After a long hiatus, the song was revived for B’z SHOWCASE 2009 -B’z In Your Town-. While it was the lead and only single from the album, “ZERO” also served as the theme to the album as well. 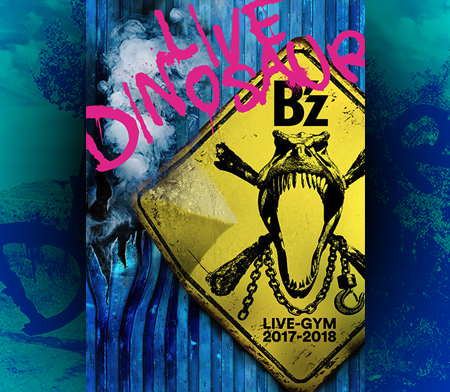 The song has proven to be one of the most renowned in the B’z catalogue, having been performed at more LIVE-GYM concerts than any other the band has produced, in addition to being included on all eligible best-of collections. The subject of the lyrics is that of infidelity. During the album LIVE-GYM, it was frequently alternated with fellow album track “Gekkou”. The titular song of the album, “RUN” has become among the most well-known and well-regarded songs the band has produced. The inspirational and supportive message of the song was written with the fans and staff members in mind. As a result, it is often reserved to be played as a final and encore song. The song has remained popular over the years, being voted onto both of the fan-selected best-of albums, and being remade into “RUN -1998 style-” on the first of which. The more rock-oriented version was intended to showcase the band’s growth since the original’s release. The lyrics to the song contain a strong element of social commentary. 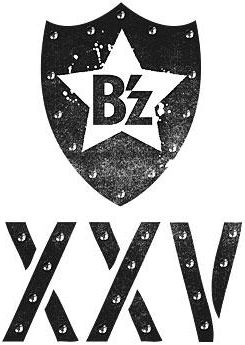 The song was performed for the first time in fourteen years during B’z SHOWCASE 2007 -19-. The styling of the song, particularly the chorus, is reminiscent of Native American folk music. The song, when performed live, has special choreography associated with it that Koshi and the audience participate in together. In 1998, the song placed highly in the voting for B’z The Best “Treasure”, ultimately ranking in at #23. The song begins like the album version of “ALONE”, with English lyrics ringing out prior to the instrumentation beginning. The lyrics of the song were inspired by the landscapes Koshi witnessed as he was traveling in the United States. Koshi has said the backdrop to the song is that of school graduation. A popular B’z song, it was used to close out the album’s titular tour as well as the 1993 Pleasure shows, the latter of which was released on home video as LIVE RIPPER. It ranked in the top 20 in the voting for B’z The Best “Treasure”, and ranked as #8 overall for B’z The Best “ULTRA Treasure”, leading to its inclusion. The song was also played on the tours for ELEVEN in 2001 and ACTION in 2008. Koshi had difficulty while penning the song, and was inspired to name it “Moonlight” after hearing the guitar solo Tak had written for it. Every performance of the song has been done in acoustic form. It had not been played live for ten years prior to being included in the setlist to the fifteenth anniversary concert, where its inclusion resulted in much surprise and delight of fans in attendance. The song has remained popular over the years, being voted highly for B’z The Best “Treasure” and being voted high enough to be included on B’z The Best “ULTRA Treasure”, fifteen years after its original release, as well as being included on The Ballads ~Love & B’z~. Koshi’s father is known to consider it one of his favorite B’z songs. The only acoustic number on the album. The combination of a clapping accompaniment, acoustic guitar, harmonica, and group chorus give the song quite a unique atmosphere. The song was at first conceived with more of a rock arrangement, but Tak felt something different was meant to come of the song, and as such decided to take a 180° turn to make it acoustic. An English demo of the rock version has since made its way online. In addition, a demo of the English version utilizing the acoustic arrangement has also been leaked. The tour in support of the album ran from January 30, 1993 to June 30, 1993, with both a hall tour and an arena tour. Every song from the album was ultimately played on the tour, though some were alternated with each other, such as the case with “Akai Kagerou” and “Gekkou” filling a ballad spot early in the setlist. When the tour moved to the large-scale arena venues, a group acoustic version of “Easy Come, Easy Go!” was added to the setlist. While filmed, the entirety of the show has never been officially released. However, on Hidden Pleasure ~Typhoon No.20~, a collection of previously unavailable live performances and similar materials released to commemorate the band’s 20th anniversary in 2008, a number of performances from the show were made available, ranging from “Ai no Mama ni Wagamama ni Boku wa Kimidake wo Kizutsukenai” and “ZERO” to “Hadashi no Megami”. 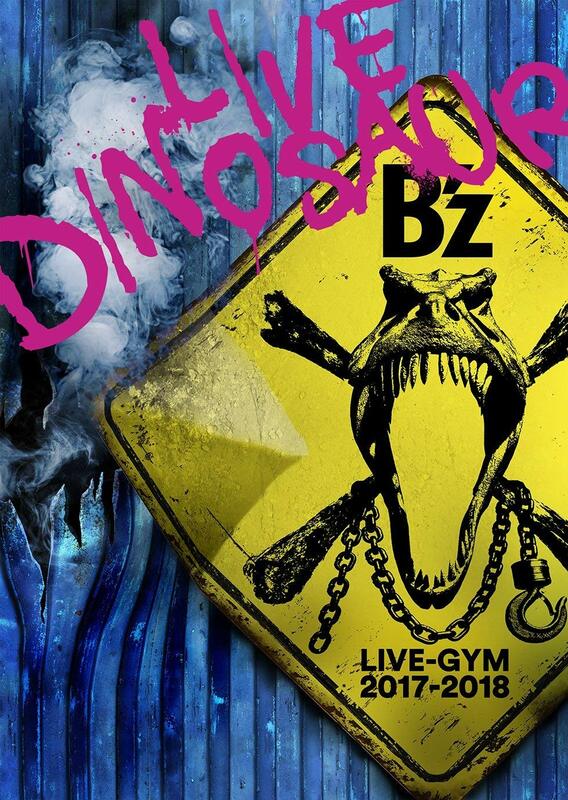 For more information on B’z LIVE-GYM ’93 “RUN”, please visit its dedicated B’z Wiki page. I’ll give me two cents, as I never really reviewed this release. Easily one of their more consistent albums, it ranks up there with SURVIVE, Brotherhood, and The Circle as some of their most solid material. 20 years on, while somewhat dated in terms of production, RUN, as an album, has the feel of running with reckless abandon. What makes the track list so good is the almost see-saw effect between rock, pop, and ballad. Tak and Kohshi cover all of the bases, what they produced was magic. From the opening, Deep Purple-esque Hammond from Masuda-san in The Gambler, to the rich, acoustic work of “Baby You’re My Home” (a nod to Mr. Big’s “To Be With You”), this collection of songs shines. The band is in top form, from Akashi-san’s programming and bass, to Tanaka-san’s solid drumming, to Masuda-san’s solo keyboard work and duel with Tak in “Out of Control”, the road work paid off in spades. I do find some weaknesses in the tracks: “Native Dance” to me always seemed a bit naive (granted Kohshi’s first experience with Native Americans was not too long before this) and somewhat insulting (Ai-yai-i-yai-i-yai-ai-ee-ee? ), and “Sayonara Nanka wa Iwasenai” seems to be fairly pedestrian until Tak’s solo. These are small gripes, in comparison to the overall quality of the material. Is RUN a classic B’z album like In the Life, LOOSE or Brotherhood? If we were to compare it with the contemporary albums of the day, maybe? Let’s do that. Extreme – III Sides to Every Story: a concept album, somewhat forced, but overall excellent musicality. Guns & Roses – Use Your Illusion I & II: Probably some of the most overwrought and bombastic songwriting ever to grace a double album, but that’s why it worked. There are weak tracks, but ultimately, it was a masterpiece for it’s time. Obviously an influence for The 7th Blues, if not in concept, not execution. Mr. Big – Lean Into It: Aside from “Daddy, Brother, Lover, Little Boy”, “Green-tinted 60’s Mind”, and “To Be With You”, this is a fairly bland album for a collaboration with arguably the best bassist and guitarist in America at the time. I think that RUN easily stands up to any of it’s contemporaries on any day. There you have it.